A health worker prepares to administer a vaccine to a child at a mobile vaccination unit, in Svay Pak village, an urban poor community in Rossey Keo district, Phnom Penh, Cambodia. Even though billions of doses of vaccines for children across 100 countries around the world were supplied in 2016, millions of children – especially those in conflict zones – still miss out on life-saving inoculations, the United Nations Children’s Fund (UNICEF) has warned. “All children, no matter where they live or what their circumstances are, have the right to survive and thrive, safe from deadly diseases,” Robin Nandy, the Chief of Immunization at UNICEF, said in a news release. Access to immunization has led to a dramatic decrease in deaths of children under the age of five from vaccine-preventable diseases, and has brought the world closer to eradicating deadly scourges like polio and measles but despite this progress, 1.5 million children still die from diseases which can be prevented by vaccines. According to estimates, 19.4 million children around the world still miss out on full vaccinations every year. Around two thirds of all unvaccinated children live in conflict-affected countries. Weak health systems, poverty and social inequities also mean that one in five children under the age of five is still not reached with life-saving vaccines. On top of this, persisting inequality between rich and poor children further exasperate the problem. VIDEO: Despite progress, nearly 20 million children are missing out on vaccinations every year. Two-thirds of those unvaccinated children live in countries affected by conflict. UNICEF is calling for greater efforts to close the gap. In countries where 80 per cent of the world’s under-five child deaths occur, over half of the poorest children are not fully vaccinated. Globally, the poorest children are nearly twice as likely to die before the age of five as the richest. “In addition to children living in rural communities where access to services is limited, more and more children living in overcrowded cities and slum dwellings are also missing out on vital vaccinations,” said Dr. Nandy. “Overcrowding, poverty, poor hygiene and sanitation, as well as inadequate nutrition and health care increase the risk of diseases such as pneumonia, diarrhoea and measles in these communities; diseases that are easily preventable with vaccines,” he added. Furthermore, given predictions that one in four people could be living in urban poor communities, mainly in Africa and Asia by 2030, the focus and investment of immunization services must be tailored to the specific needs of these communities and children, noted UNICEF. This re-focusing of efforts is all the more important given that efforts in these communities would be crucial for the implementation of the Sustainable Development Goals (SDGs). 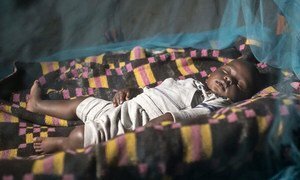 The United Nations health agency’s regional office for Africa has announced that Ghana, Kenya, and Malawi will take part in a breakthrough pilot programme to make the world’s first malaria vaccine available in selected areas, beginning in 2018.